You are here: Home » News » Vinyl Fence News » How to choose vinyl horse fence? Why choose vinyl horse fencing? 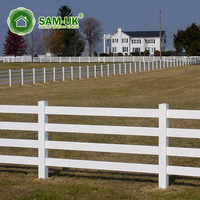 Why choose vinyl horse fence instead of wood or metal fence? What the benefits of vinyl horse fencing? What is the significance of the vinyl horse fence on the equestrian field? What are the precautions for choosing a horse fence? 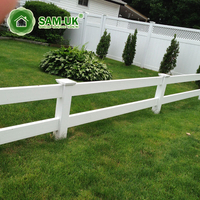 How to choose vinyl horse fence? 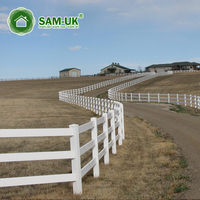 If you are looking for a safe and reliable fence for installation in your ranch, field or anywhere else, our vinyl horse fence is your best choice. But you need to know how to choose the fence that suits you, or to learn about horse fences. This article will tell you the answer. Horses are getting more and more, especially in the open suburbs. With the construction of new pastures, old properties are also suitable for keeping horses. In this case, safety horse fences are an important issue. Horses are now often placed near their owners, which means that the highest density of horses is approaching the density of the population. Before choosing the right vinyl horse fence for a particular horse operation, consider the intended use, and which type of terrain should be considered for terrain, cost, durability, and planned maintenance. When choosing a vinyl horse fence, please choose one as needed. Each farm is different and each horse or group of horses is different. 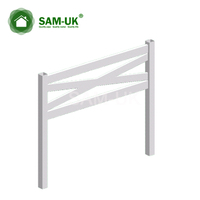 You can choose a vinyl horse fence with two to four rails. So, you should consider your budget and how many feet of fence you need. If you are not familiar with it, you can benefit from the knowledge of the horse industry consulting fencing experts. The consultant can help you determine where the fences, barns and doors are placed so that your farm can run smoothly and economically, and your vinyl horse fence will play a bigger role. This is the fence system that has the most talks on the market today and has made great progress in the past 10 years. Like other synthetic products, vinyl horse fences are resistant to crushing, but because there are no exposed materials, they are not easily bitten by horses. 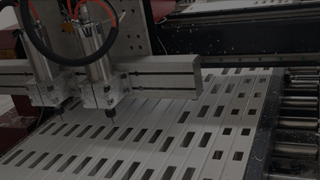 Moreover, it has many other advantages over wood: it has a long service life, vinyl columns and guide rails never need to be painted, and almost no maintenance is required (except for some daily stains). In addition, in some cases, the rails are designed to be ejected from ejected holes or special brackets when struck by a horse, which greatly reduces the risk of horse injury. The world outside the vinyl horse fence is dangerous for horses, so we set a fence for it to keep our horses safe. There are many things to consider before buying a new vinyl horse fence. First, find out if there are any local methods that may limit the fence type. After that, determine its purpose: whether it is suitable for building on your ranch or paddock. When you want to install a vinyl horse fence, terrain, soil and climatic conditions, the most important thing is to consider how much space can be installed, visibility in different locations and whether there are any special needs. Finally, you need to consider the budget of the project. Our vinyl horse fences use advanced technology and professional installation services. You can compare it with other vendors. Here are some of the features of our vinyl horse fence:. Choosing to install a horse fence looks like a simple thing, but in reality you need to consider a lot of factors. If you have any questions, please feel free to ask us and we are looking forward to your questions.